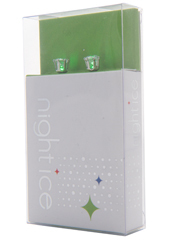 Original Green Night Ice light up earrings are perfect for dance parties, concerts, and holidays! Check out Emilio Dosal sporting Night Ice during his amazing 'So You Think You Can Dance' audition! Take your outfit to the next level. Represent your favorite sports team or your country banner with Night Ice LED earrings! Electronic swag for the 2010s and beyond. Usain Bolt sports green and yellow Night Ice earrings to represent Jamaica! The green is a very vivid and vibrant LED color. Night Ice are the ultimate accessory for events like EDC, St. Patty's Day, New Year's and Halloween! There is no better costume enhancer! 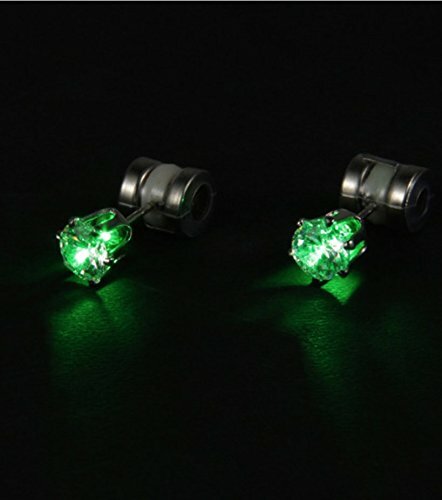 Original green is one of the most popular Night Ice LED earring colors. Keep track of your kids in the evening and keep track of your friends at the party. Like beacon of light these Night Ice are. As you will be too good soldier. Night Ice are original LED earrings for pierced ears that can be worn as simple crystal earrings during the day, then just fasten the battery backs at night and BAM! The LED light turns on. Party-time! :) The vivid light attracts positive vibes and attention, and they're perfect for keeping track of your friends and family at fun events and trips to big theme parks. Night Ice light up earrings are safety tools. Any type of night light allows people to see you. 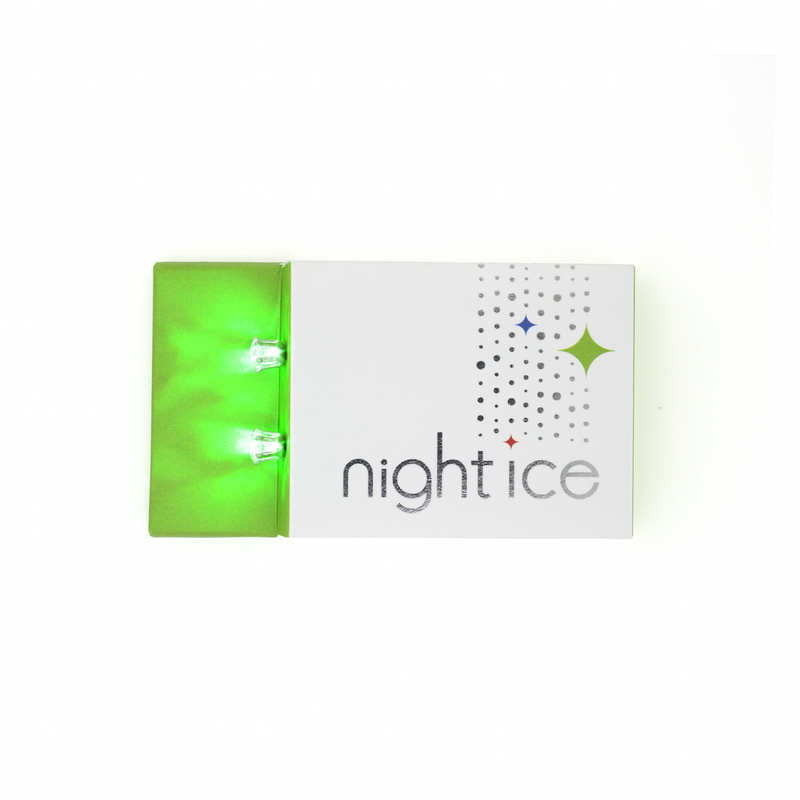 If you're a night runner or biker, be sure to pick up a pair of Night Ice as your safety flasher! Plus, Night Ice makes you feel rad because you radiate with power! Glowing LED earrings make people come to you and say, "Dang man, where'd you'd get those bad boys?!" And of course you'll reply, "Night Ice if SF. They're sweeping the globe. It's all one big family. Get yours!" Use promo code 415 for 10% off! Green glow in the dark earrings are perfect for parties, ball games and humongous dance parties. Spice up any cool outfit with glow in the dark crystal earrings. Original Night Ice LED earrings produce a classic color glow through exquisite crystal earrings. Automatic costume. Automatic super powers. Also check out our new Flashers and Multi-Color Flashers! 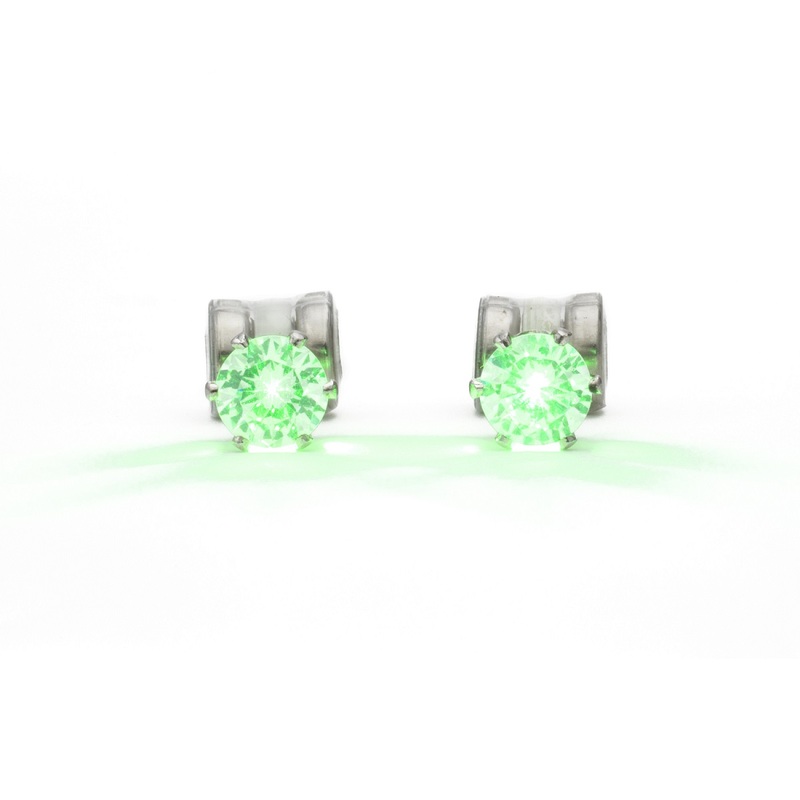 Wear green Night Ice LED earrings on St. Patrick's Day! St. Patrick was a Brit, captured by Irish Marauders, escaping because a voice told him to in a dream. He made it to a ship and was gone. In another dream Irish voices begged him to come back and help. He became a Bishop, returned to Ireland, built churches and baptized 1,000s. He used the three leaf clover, or shamrock, to explain the Holy Trinity and led an impoverished but purposeful life. On Saint Patrick's Day help us light up the world in celebration with green Night Ice crystal LED earrings! Wear your glow earrings as gorgeous crystals during the day. Then light them up at night when it's time to party!